Heroines: Jane Austen’s novels include strong female characters who learn from their own folly and the follies of those around them, most usually a male counterpart. They include Catherine Morland, pictured above in ITV’s 2007 adaptation of Northanger Abbey as played by Felicity Jones. On 18 July this year it will be 200 years since the world lost one of its greatest writers—Miss Jane Austen (1775 –1817). Of enormous popularity today, all of Austen’s major novels—Sense and Sensibility (1811), Pride and Prejudice (1813), Mansfield Park (1814), Emma (1815), Northanger Abbey and Persuasion (1817)—have been made into films, plays and TV miniseries. What is considered her greatest work—Pride and Prejudice—has taken on a life of its own with several movie and TV adaptations, and even sequels and spoofs, from Death Comes to Pemberley, Pride and Prejudice and Zombies and the UK-Bollywood crossover, Bride and Prejudice. For it is a truth universally acknowledged that the story of Elizabeth and Darcy, is one of the greatest love stories ever told. And yet this universal success, this literary triumph, is at odds with the simple life of the woman who wrote these stories. Jane Austen lived a quiet and obscure life as a young middle-class woman in early 19th century rural England, only becoming a literary phenomenon after her death. Jane Austen’s family home at Chawton in Hampshire. Jane was only 41 when she died. She never married, never travelled abroad, she didn’t socialise with prominent or fashionable people and always lived with her family. The only autobiographical material she left behind were letters she wrote to her family. Two nieces and one nephew wrote memoirs recalling with great affection their Aunt Jane who they described as “kind, sympathising and amusing.” Her nephew, James Edward Austen-Leigh, wrote that they had not considered her clever or famous. She never achieved literary acclaim during her lifetime as the novels she published before her death were all published anonymously. 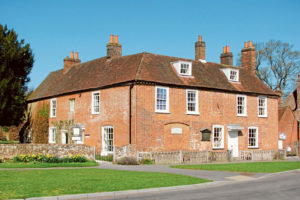 Several years ago I had the good fortune to visit Jane Austen’s house at Chawton in Hampshire, where she lived with her mother and sister from 1809 to 1817, the period during which her first four novels were published. 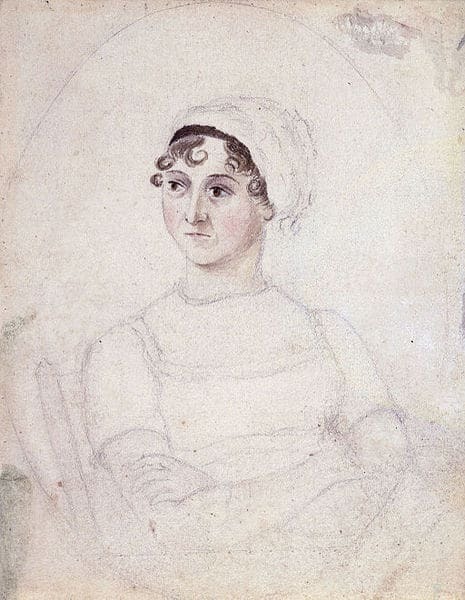 Portrait of Jane Austen (c 1810) by her sister, Cassandra. My visit to Chawton brought home to me what a simple and hidden life—surrounded by the domesticity of everyday life—the literary genius must have lived. Chawton is a rural English village consisting of little more than a few buildings situated at the intersection of two roads—one leading to Winchester and the other to Fareham. Surrounded by gentle green pastures, the village also has the obligatory little stone church with adjoining cemetery. It is no wonder that in Jane’s day the announcement of a ball caused a stir far and wide. One can imagine that the rattle of a horse-drawn carriage along the gravel main street, upon which the Austen’s house was situated, must have caused a rush to the window to see who was passing by. To the modern mind such quietness may seem utterly frightening. Yet such remoteness can be fertile ground for producing brilliant writers. Stillness encourages the mind to probe and the imagination to soar. A keen observer of human nature, Jane possessed acute understanding of the psychology of romance between the sexes. A master at building romantic suspense, her novels are replete with quickened pulses, awkward silences, sideways glances, misunderstandings and false assumptions. Will the leading man finally announce his love for the heroine? Does he still care for her after everything that has happened? Is he a man of honour or a cad? Is he a Mr Darcy or a Mr Wickham, a Mr Knightly or a Frank Churchill, a Mr Elliot or a Captain Wentworth? Odious and unsurpassed: David Bamber as Mr Collins, a social climber and most unwelcome suitor to Pride and Prejudice heroine Elizabeth Bennet (Jennifer Ehle, pictured left), in the BBC’s 1995 adaptation of Austen’s most popular work. The quietness of rural 19th century England, would have provided Jane the time not only to ponder deeply the things of this world, but also that of the next. As the daughter of an Anglican Pastor, her life would have been permeated with the Christian faith. Naturally enough, her books, although not written in religious overtones, are full of Christian ideals, containing profound insights about both the sinfulness and the goodness of human beings. A slim volume was published a couple of years ago titled, The Prayers of Jane Austen, containing the only surviving prayers written by Jane. Most likely she wrote them for the family’s evening prayer-time together. These three prayers reveal a soul with a profound and well-developed inner-life, someone painfully aware of the foibles of human nature and practised in examining her own deeds and intentions in order to truly be conformed to Jesus Christ. A theme she explores in her books is false Christianity—those who merely give lip-service to their faith but who do not have genuine love for their fellow beings, much like the Pharisees in the Gospels. 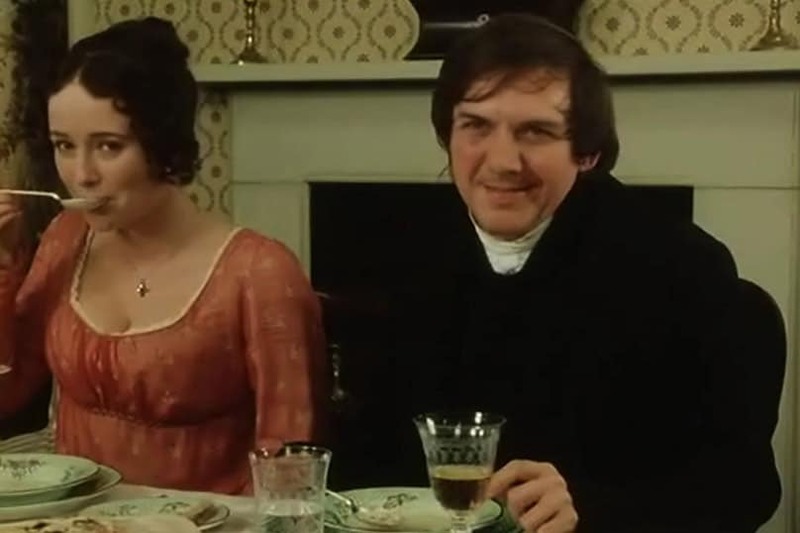 Surely one of the greatest characters in English literature is Mr Collins, whose marriage proposal to Elizabeth Bennet provides one of the most humorous scenes ever written. The pompous Mr Collins is a clergyman, constantly sprouting forth high Christian ideals but sorely lacking in genuine humility or charity. Yet both overcome these vices that cloud their judgements of each other. Their love blossoms through greater self-knowledge, achieved through knowing the other. Overcoming their pride and prejudice, they come to see the other’s goodness. Darcy says to Elizabeth, “I have been a selfish being all my life … such I might still have been but for you, dearest, loveliest Elizabeth.” At which point every female reader finds her heart melting. All of Austen’s novels end with a happy marriage—a truly biblical way of ending a story—since the Bible begins with a marriage in the Book of Genesis and ends with the wedding feast of the Lamb in the Book of Revelation. Also very biblical, is the fact that Austen’s virtuous characters are ultimately rewarded and the less virtuous get exactly what they deserve. The heroine Elizabeth marries the handsome and exceedingly wealthy Darcy, and her virtuous sister Jane marries the ever-cheerful, and vastly wealthy, Mr Bingley. Younger sister Lydia, however—a renowned flirt who throws herself at attractive men of doubtful character—marries the philandering and very un-wealthy, Mr Wickham. In Jane Austen’s world justice is done and done well. On 18 July 1817 Jane Austen passed away quietly in the arms of her sister Cassandra—her closest companion and confidante—at their lodgings in Winchester. It is thought she suffered from Addison’s Disease, a form of kidney failure.